THIS RAMP PROVIDES ACCESS TO THE OPEN GULF OF MEXICO. HOWEVER THE CANAL IS NARROW AND THE ACCESS CHANNEL CAN BE RATHER SHALLOW IN SOME SPOTS. THEREFORE THIS RAMP IS BETTER SUITED FOR SMALLER BOATS. 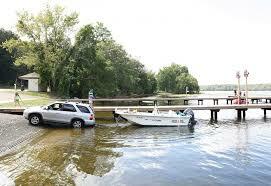 LARGER BOATS CAN BE EASILY ACCOMMODATED AT THE NEARBY KEATON BEACH PUBLIC BOAT RAMP. RAMP IS LOCATED IN A QUITE RESIDENTIAL NEIGHBORHOOD AND CLOSES AT SUNSET.